How can you benefit from getting dual citizenship? In this blog, I frequently discuss various ways of getting dual citizenship. Whether it’s citizenship by investment in Dominica or getting a French passport through military service, I love learning and talking about the different ways that people can get second passports. However, although I spend plenty of time telling my readers how to go about getting dual citizenship, I don’t generally discuss why you’d want to go through all this trouble in the first place. This is partially because I tend to take a different approach to the process of getting dual citizenship than most people in my field. See, the majority of citizenship-seekers are looking for a better passport than what they already have. Countries like China, for example, have plenty of citizens who want to travel, work, and live in different countries, but since their passport is fairly weak, they often need to jump through hoops to get the visas that they need. Therefore, many internationally-minded Chinese citizens have sought second passports in places like the United States or the European Union, which have top-tier passports. Many of my readers, however, are from these countries with A-level passports. Australians, for example, likely won’t bother getting dual citizenship in Canada because it comes with similar benefits. However, there are plenty of other great reasons to get dual citizenship – even if you already have a high-quality passport. In my view, dual citizenship serves as both an insurance policy and a method of unlocking new opportunities. While I’m not a conspiracy or doomsday theorist, I think that having a backup plan is important, and a second passport can be a sort of insurance policy against invasive new laws or government instability. Getting dual citizenship can also open up other doors for you, such as easier access to overseas markets. If you’ve considered getting dual citizenship but aren’t sure whether you want to take the plunge, take a look at some of the ways that you can benefit from a second passport. Although dual citizenship doesn’t automatically lower your tax bill, it can be an important part of your overall tax strategy – especially if you’re a US citizen. Under US tax law, all citizens are obligated to pay tax on their worldwide income – even if their primary residence is abroad. You can learn a bit more about this system of citizenship-based taxation here, but essentially, citizenship-based taxation forces all US passport holders to pay tax every year by virtue of being a US citizen. US citizens looking to reduce their US tax obligation will thus need to move abroad to claim Foreign Earned Income Exclusion (FEIE), which allows them to exclude over $100,000 of their income from US taxes. Or, to completely rid themselves of the IRS, they’ll need to renounce their US citizenship entirely. Getting dual citizenship can therefore be an important step in either process. You don’t need dual citizenship to qualify for FEIE, but it makes claiming exemption a bit easier. With a second passport, you can spend unlimited time outside of the US, and you can clearly establish residence abroad. Additionally, if you plan to renounce entirely, you’ll almost certainly need another passport. Most US embassies won’t allow you to turn in your US passport unless you can prove that you have citizenship elsewhere, and becoming stateless can limit your travel and business opportunities. While dual citizenship may not be the final answer to your US tax woes, it can be a significant part of your tax strategy. 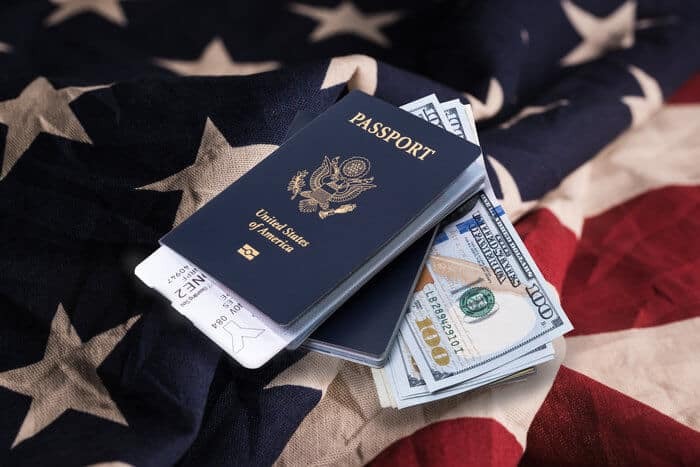 Since the US requires all citizens to pay taxes, renouncing your US passport is the only way to truly escape the IRS – and you’ll need a second passport to do that. However, getting dual citizenship can also be beneficial for citizens of other countries. Countries like the UK, Australia, and Canada currently use what’s known as a residential tax system. Under this system, you only need to pay tax if you meet certain residency requirements. Therefore, if you get dual citizenship in a country with low or no taxes, you can easily remove yourself from your home country’s tax system. Getting dual citizenship also gives you an exit strategy if your home country tightens its tax regulations. In the age of digital nomads and perpetual travelers, many developed countries that use residential taxation have considered making it more difficult for their citizens to become tax non-residents. Suppose you’re an Australian citizen who lives tax-free in Vanuatu, and the Australian government decides to rope you back into its tax net with new regulations. If you don’t have a second passport, then you’re out of luck. On the other hand, if you’ve gone through the process of getting citizenship by investment in Vanuatu, then you can opt out and choose to renounce your Australian citizenship. Dual citizenship therefore serves as an insurance policy for your tax plan. It gives you an exit strategy in case of government nonsense, and it allows you to cut ties when necessary to go where you’re treated best. As I mentioned earlier, the majority of people interested in getting dual citizenship often want a second passport that improves their visa-free travel options. Israeli citizens, for example, are prohibited from traveling to most countries in the Middle East, so many Israelis get second passports to be able to do business in Qatar or Dubai. But what if you already have a top-tier passport? 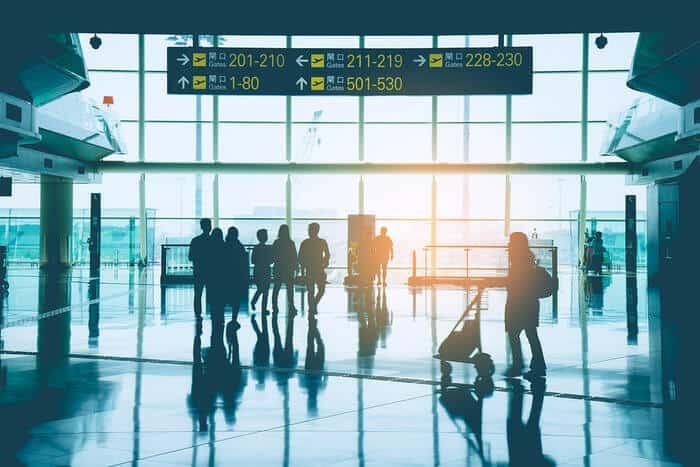 Even if you have a passport with superior visa-free travel, you can still strategically acquire second citizenships that enhance your access to certain parts of the world. Getting citizenship by investment in Saint Kitts and Nevis, for example, gives you visa-free access to Russia and Brazil – two countries that require US and Australian citizens to apply for visas in advance. Getting dual citizenship can thus improve your ability to travel and do business around the world – even if you already have an A-level passport. While it may not be your first priority, ease of travel is something to consider if you want to get a second passport. One of the most obvious – but underrated – benefits of getting dual citizenship is that citizenship gives you guaranteed residence in that country. Suppose you’re in your mid-30’s, and you plan to retire wealthy in the Caribbean. You look at citizenship by investment opportunities on islands like Saint Kitts and Nevis or Dominica, but you decide to pass. That can wait until you decide to retire and live there, right? Although both countries currently have great citizenship by investment programs, that may change in the future. They could make it substantially more difficult or expensive to get citizenship there, or they could eliminate their citizenship by investment programs altogether. Now, this doesn’t mean that you’re barred from retiring in the Caribbean, but wouldn’t it be easier to ensure that you can by getting dual citizenship now? 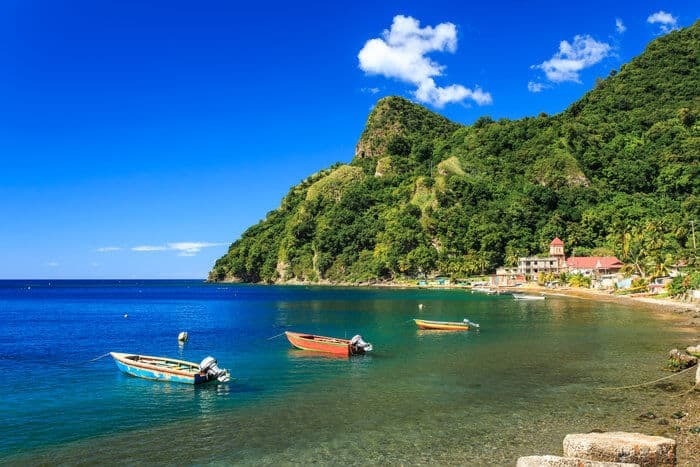 If you get citizenship by investment in Dominica, then you’ll always have access to this beautiful country. Guaranteed residence is certainly the unsung benefit of getting dual citizenship. If you have citizenship in a particular country, then you have the freedom to live there as you choose. You don’t need to fuss with residency requirements or visas to get in. 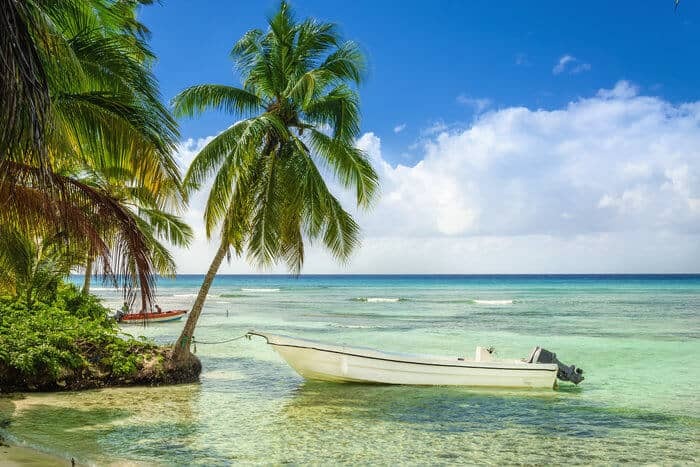 However, this doesn’t just mean that you can dodge the cold in the Caribbean every winter – getting dual citizenship also ensures that you have somewhere to go if you need to get out of your home country. I’m not one for doomsday predictions or tin foil hats, but I think that having a fail-safe in case you need to leave your country of residence is a good idea. Let’s say that you’re a citizen or permanent resident of the United States. While I don’t think that the US is going to descend into chaos anytime soon, I think there are plenty of valid reasons why you would want to get out. On one hand, you could detest Trump and the direction he’s taking the country, or on the other hand, you may see impending tax increases and want out before they hit you. By getting dual citizenship, then, you create your own exit strategy by having a place where you can always go no matter what – they have to let you in by virtue of being a citizen. Another reason why many people get dual citizenship is to take advantage of that country’s social services. Personally, I’m not too concerned with social benefits. I’m a pretty libertarian guy, so I don’t really like using government services unless I don’t have another choice. However, I can certainly see why they’re so important to many people. If you’re not already from somewhere like Canada or Germany, then you may not have access to many social services at home. Even in highly developed countries like the US, medical care or higher education can easily cost an arm and a leg. I’ve known highly successful people who’ve gone bankrupt after a medical emergency in the US. Even if you’re already successful, the stability offered by countries with highly developed social services can be quite desirable. If you move to a country in the EU, for example, you can enjoy low-cost health care, send your kids to school in any EU country inexpensively, and enjoy pension benefits when you retire. However, if social services are one of the reasons why you want to get dual citizenship, I encourage you to look beyond western countries like New Zealand or the UK. These countries are a bit more difficult to get citizenship in, so unless you can claim citizenship by descent, you’ll need to actually move there, get a job, and go through the process of naturalization. Rising countries like Brazil, however, have the potential to become as advanced as the EU in a matter of decades, and getting citizenship there is substantially less of a hassle. For example, you could give birth in Brazil to give your child Brazilian citizenship, and you can then get fast-track naturalization as a parent of a Brazilian child. If social services are something that’s important to you now or in the future, then getting dual citizenship can enhance your access to them. Finally, your second passport can give you access to new markets and business opportunities. As a citizen of a particular country, you can invest freely in that country, and you may have an easier time investing in neighboring countries as well. Suppose that, like me, you’re highly interested in investing in Cambodia. However, like most Asian countries, Cambodia is somewhat closed off to foreign investors. 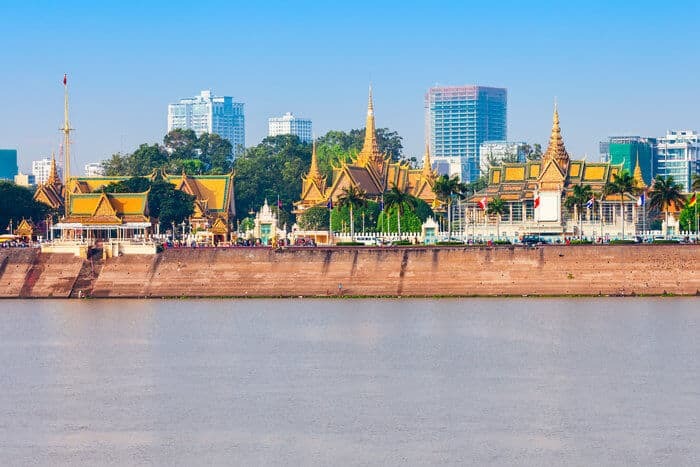 Although there are plenty of opportunities for foreigners in Cambodia, you’ll run into plenty of limitations as a non-Cambodian, such as the types of real estate that you can buy. So, if you want unfettered access to this emerging market, then you may want to consider becoming a Cambodian citizen. Although getting dual citizenship in Cambodia can be somewhat convoluted, it can be valuable if you’re committed to investing in this emerging market. Suppose that with your new Cambodian citizenship, you go out and buy a cheap parcel of agricultural land. While it may seem insignificant now, think about how much it could be worth in the future. Although Cambodia’s tumultuous past has caused it to lag behind its neighbors, it’s a rapidly developing country. In fact, its capital – Phnom Penh – looks quite a bit like Bangkok did thirty years ago. Getting Cambodian citizenship could therefore give you ground-floor access to a frontier market. If you want greater access to emerging markets in Cambodia and beyond, then getting dual citizenship can help you do so. However, Cambodia is just one of many countries where you can get better access to rising markets as a citizen. 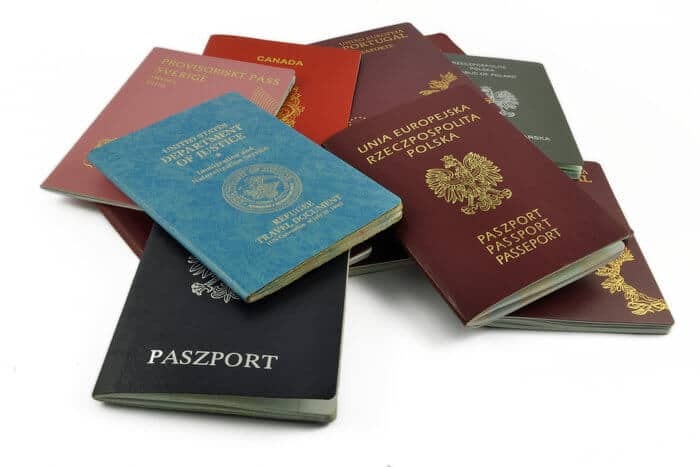 Maybe you have Eastern European ancestry and can get expedited citizenship in Lithuania or Poland, or maybe you want to become naturalized in Costa Rica or Paraguay. Regardless of where you go, getting dual citizenship can help you gain early access to many emerging markets. Should I Consider Getting Dual Citizenship? 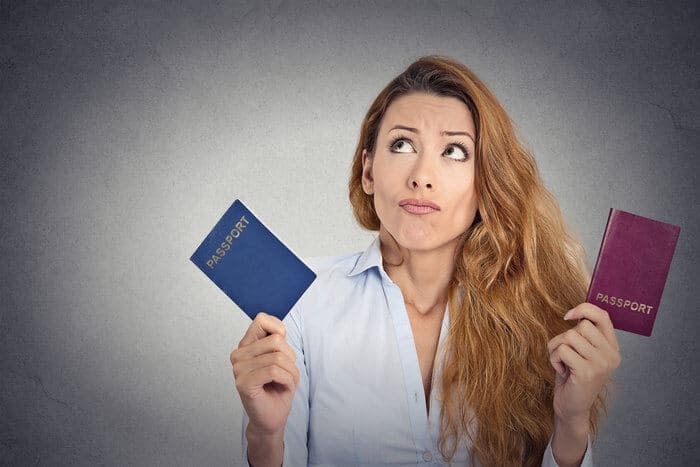 Now that you know the benefits of getting dual citizenship, you may be wondering whether you should go about actually doing it. If you’re happy living your entire life and doing everything that you need to do in one country – and you think that won’t change anytime soon, then you can probably pass on getting dual citizenship. On the other hand, if you want to legally reduce your taxes, take advantage of international business opportunities, and live a freer lifestyle, then you should start to look into getting a second passport. Where you decide to get that dual citizenship, however, depends on your needs and circumstances. You may be able to get European citizenship through your ancestry, or you could get citizenship by investment in the Caribbean or South Pacific. If you’re interested in getting dual citizenship but aren’t quite sure where to start, click here.